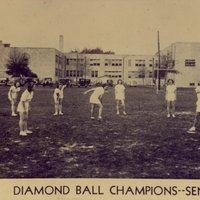 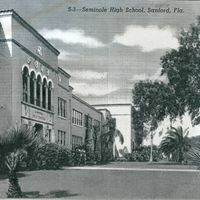 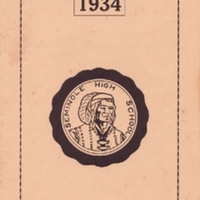 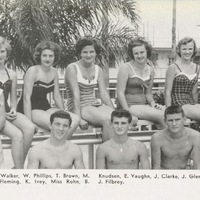 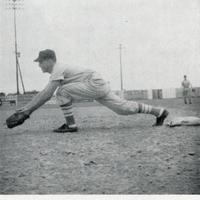 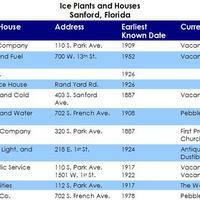 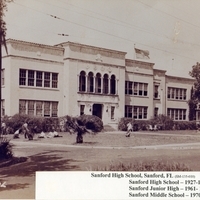 Seminole High School Senior Diamond Ball Champions in 1938. 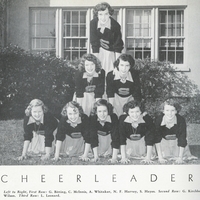 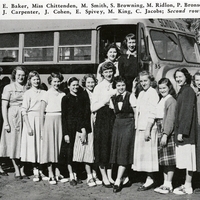 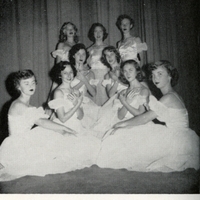 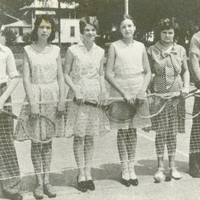 Photographed from left to right is Edna Stich, Ellen Betts, Louise Hardin, Donna Morgan, Doris Lake, Eloise Lowe, Anna Greer, Guerite McKenny, and Eda Stich. 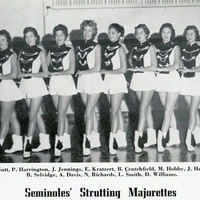 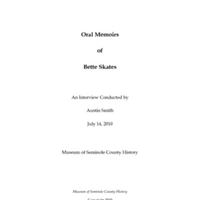 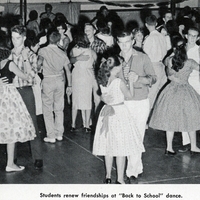 Tags: Crutchfield, B.; dance; dancer; Davis, A.; education; French Ave.; French Avenue; Harrington, P.; Herron, J.; high school; Hobby, M.; Jennings, J.; Kratzert, E.; majorettes; Nutt, C.; Richards, N.; Sanford; school; Selvidge, B.; Seminole High School; Seminoles' Strutting Majorettes; SHS; Smith, L.; Strutting Majorettes; student; Williams, D.
Tags: athlete; Bitting, G.; cheerleader; cheerleading; French Avenue; Harvey, N. F.; Hayes, S.; Kirchhoff, G.; Leonard, L.; McInnis, C.; Sanford; Seminole High School; SHS; sport; student; Whitaker, A.; Wilson, J. 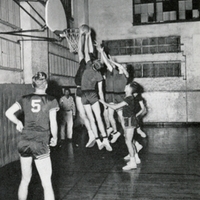 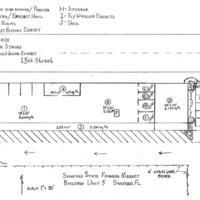 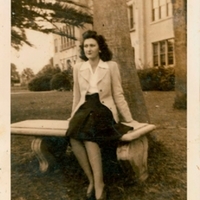 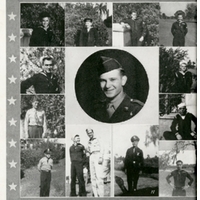 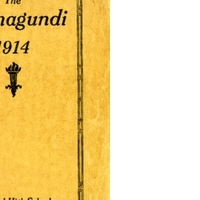 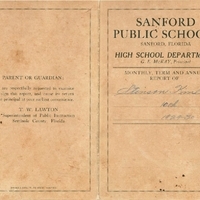 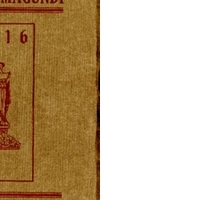 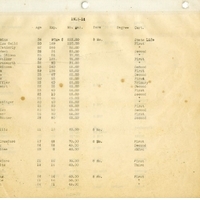 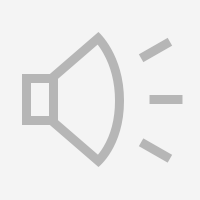 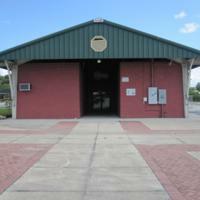 Tags: Baker, E.; Bivins, S.; Bronson, P.; Browning, S.; bus; Carpenter, J.; Chittenden; Cohen, J.; education; French Avenue; Hamp, B.; high school; Jacobs, C.; King, M.; Norman, L.; Ridlon, M.; Salmagundi; Sanford; school; school bus; Seminole High School; SHS; Smith, M.; Spivey, E.; student; Swann, C.; Webster, N.
Tags: 7th Street; athlete; Bolger, A.; Brown, T.; Clarke, J.; Coach Fleming; Filbrey, B. J.; Fleming; French Avenue; Glenn, J.; Hern, J.; Hiers; Hiers, M.; high school; Ivey, K.; Knudsen, M.; Miss Rohn; Phillips, W.; Rohn; Sanford; school; Seminole High School; Seventh Street; SHS; sport; student; swim team; swimmer; swimming; Vaughn, E.; Walker, T.
Aerial view of the Sanford State Farmers' Market after being destroyed by a fire in April of 1957.
floorplan of the mezzanine office/storage for the Sanford State Farmers' Market drawn in the 1990s. 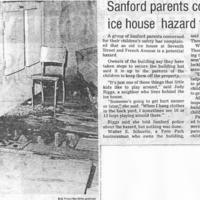 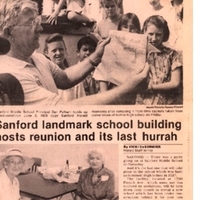 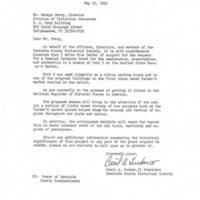 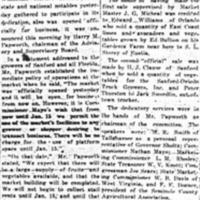 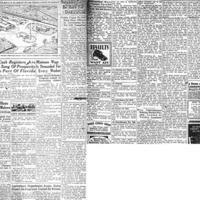 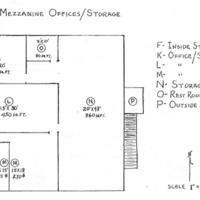 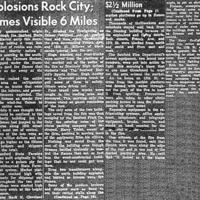 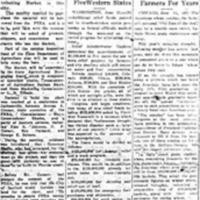 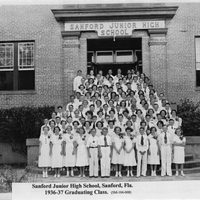 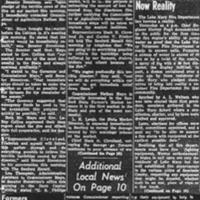 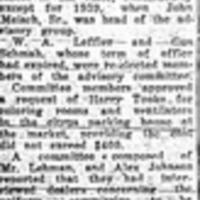 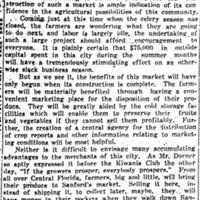 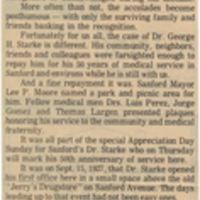 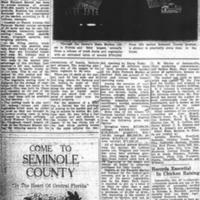 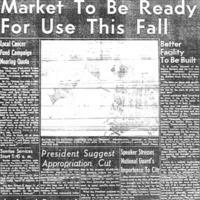 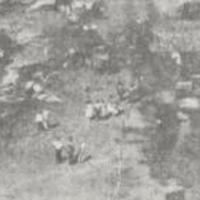 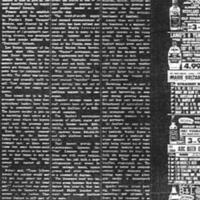 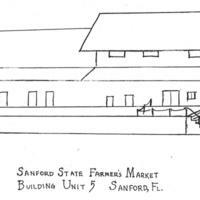 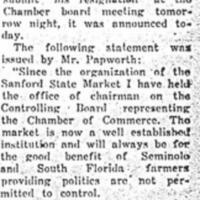 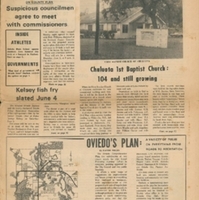 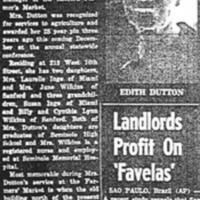 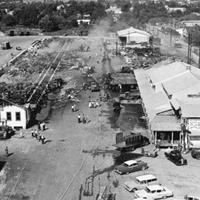 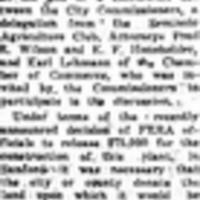 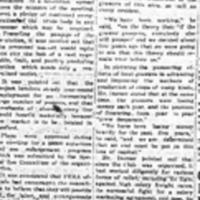 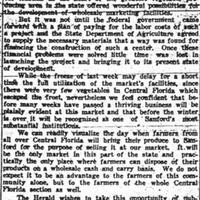 Newspaper article in the The Sanford Herald on plans to rebuild the Sanford State Farmers' Market after it was burned down in a fire in 1957. 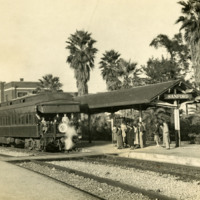 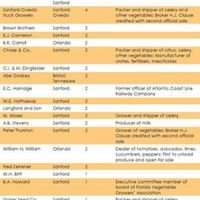 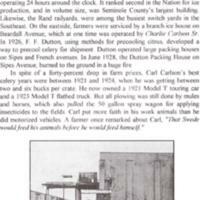 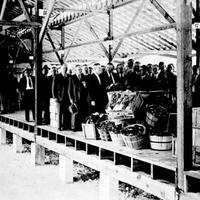 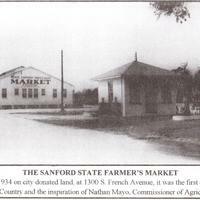 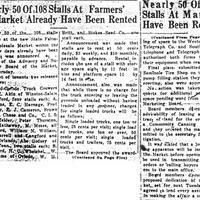 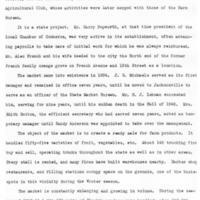 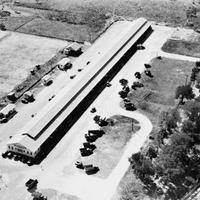 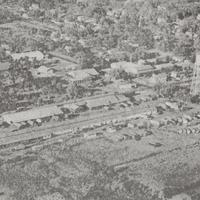 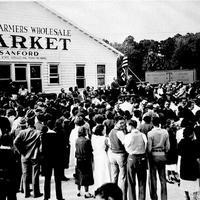 The dedication of the Sanford State Farmers' Market on December 18, 1934. 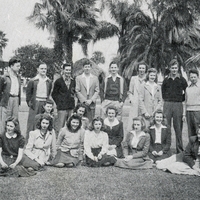 H. M. Papworth and Commissioner of Agriculture Nathan Mayo are standing at the podum and L. M. Rhodes is seated third from the right side of the flag.